LONDON, Jan. 18, 2019 /PRNewswire/ -- On January 14, 2019, led by Liao Dongyun, Deputy Secretary General of Chengdu Committee of the Communist Party of China, the "Venture Tianfu" event was successfully held in Silicon Roundabout which is the center of science and technology in London. The Chengdu Municipal Office, Chengdu Science and Technology Bureau, Chengdu New Economy Committee, Chengdu Exposition Bureau (Chengdu Municipal of CCPIT) and other institutions also participated in organizing this event. Venture Tianfu is aimed at further gathering innovative global resources, strengthening the driving force of entrepreneurship and building up the innovative channel Chengdu and global prestigious colleges and universities for high-end talents communication, application development and market transformation. More than 100 people, including social groups, top universities, international incubators, renowned experts and youth innovation and entrepreneurship teams from China, Britain and other countries, explored and shared the newest trends and cooperative opportunities of global innovative and entrepreneurial incubation. The event was hosted by Laura-Jane Silverman, head of the LSE Generate, LSE Research & Innovation, the London School of Economics and Political Science. During the event, Liao Dongyun, Deputy Secretary General of Chengdu Committee of the Communist Party of China, made a speech. Hua Chengke, the vice inspector of the Science and Technology Bureau of Chengdu, shared the innovative and entrepreneurial policies and the blueprint of Chengdu's future development with the guests. Mr. Kartik Varma - MD, Barclays Accelerator, Techstars and Mr. Raphael Levy, the partner of DealGlobe also made keynote speeches. During this event, deep exchanges and cooperation between Chengdu and the UK government, universities and enterprises were discussed in the fields of financial technology, information networks, bio-medicine, clean energy, economic and trade exchanges, conventions and exhibitions, etc. 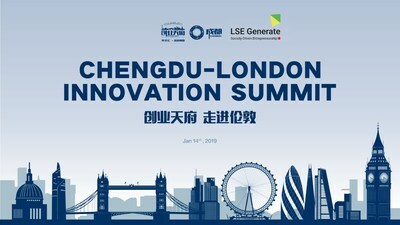 The success of this event not only established the communicative and cooperative platform of innovation and entrepreneurship between Chengdu and London, but also expanded the width and depth of both side's cooperation in innovation and entrepreneurship; talent exchange; deep integration of universities and colleges; development of new economy, economic and trade exchanges; as well as conventions and cooperation, creating ideal conditions for continuously promoting and accelerating the ecosystem and innovative ecological chain of Chengdu and forging it into a center of innovation and entrepreneurship with international influence.